I am interested in 7138 Porpoise Street, Weeki Wachee, FL 34607. Beautiful Weeki Wachee river waterfront home, prime location, great views across river and wetlands! Direct access to Gulf of Mexico. 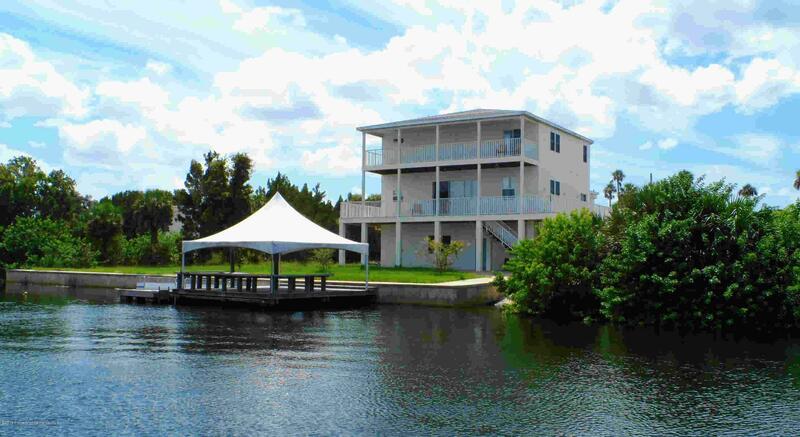 Private boat ramp, 147 ft waterfront w/seawall, huge covered stationary dock great for entertaining! Spacious, open floor plan. Oak hardwood flooring in living areas. Large kitchen features center island, bar sink, gleaming granite counters, and lots of cabinets. Private baths and walk in closets in all bedrooms. Two baths with showers plus Jacuzzi tubs, third bath has walk in shower. Additional half bath accessible from the living area. Master suite has private balcony! Elevator from garage to third floor. Huge garage and storage area for cars, boats, and water toys. Oversized lot, property extends out from front for unspoiled natural Florida views!